The weather may not change much, but we can still drink like it does. 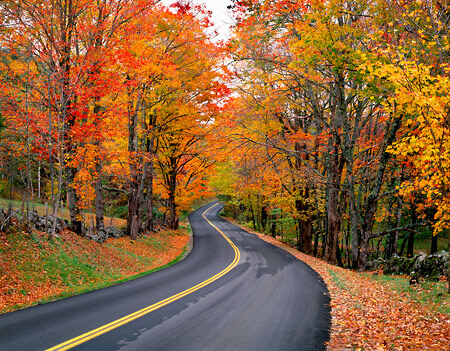 Ah, autumn: that magnificent season when the air becomes sharp and brisk, the rising sun shines down on a shimmery dusting of frost, and the mighty trees change colors and seem to paint the landscape with their own majestic patchwork of orange, yellow and red. …in the rest of the country, at least. Here in southern California, the transition to autumn is a bit less colorful. As the temperature descends from inferno-esque to merely hot, maybe one out of every four or five trees begrudgingly acknowledges the seasonal shift and dumps a pile of ugly brown leaves on the sidewalk. A new TV season begins, the oceans once again become frigid and unwelcoming, and the LA Phil abandons the Hollywood Bowl and heads back to Downtown for the rest of the year, which makes it once again possible to traverse the two miles from Studio City to Hollywood in less than an hour. Rock the rosé. Anybody who spent this past summer touring the local barbecue circuit has probably been subjected to more than one bottle of regrettable White Zinfandel. The ubiquitous “barbecue blush,” with its Jolly Rancher flavors and cloying stickiness, has given real rosé a bad name. As long as it’s still warm out here in SoCal, however, there’s no shame in reaching for a bottle of the pink stuff – just don’t fall into the White Zin trap. Instead, try a bottle from the classic home of rosé, the southern France region of Provence. For my money, the best rosés for fall come from the village of Bandol, where local law mandates that they be made with at least 50% Mourvedre grapes. Mourvedre is a meaty varietal that makes red wines of intense strength and richness, and rosé made from Mourvedre tends to have more spiciness and red fruit character than some of its fellow imports. 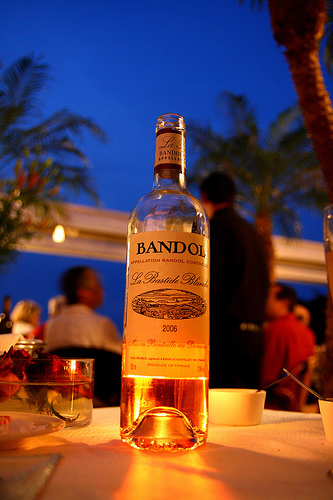 Don’t expect any sweetness, though – Bandol, like the rest of those O.G. rosés from the south of France, is styled completely dry for maximum refreshability. Rethinking Riesling. When it’s done right, the fall season represents a graceful transition from the heat of summer to the chilly wintertime. 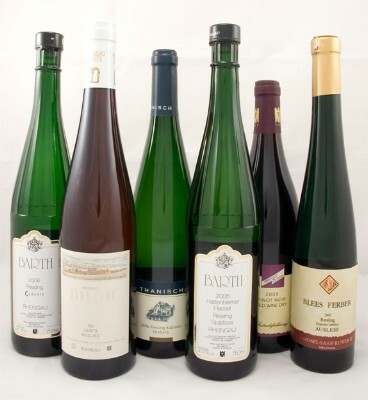 I find Riesling an excellent white wine to accompany such a transition, because the grape exists in such a range of styles that it’s possible to find a Riesling for any kind of autumn weather. On those balmy October days that still feel like summer, quench your thirst with a crisp, dry Riesling from Australia’s Clare Valley. As soon as you find yourself foregoing the AC in favor of leaving the windows open, try a Riesling from one of California’s coastal regions, like Santa Barbara County or Anderson Valley; in these temperate locales, the sun-warmed grapes are chilled by the cool sea air at night, resulting in a light-bodied wine with just a touch of sweetness. Once you start breaking out the wool sweaters, that means it’s time for a luscious German Riesling, the sweetest examples of which posses a tremendous honeyed nectar quality (try a Spätlese or an Auslese, terms which designate later harvests – and, therefore, sweeter grapes). A better Beaujolais. Owing more to a clever marketing campaign than to its ability to pair well with turkey and stuffing, Beaujolais has become known as the go-to wine for Thanksgiving dinner. However, I find this light-bodied red to be a perfect choice all season long – especially if you’re willing to spend a few dollars more and get a bottle from one of the ten Beaujolais crus (pronounced “crew,” as in who you should drink your bottle with). The crus are actually ten distinct villages considered the best wine-growing locations in the region, including Fleurie, Juliénas, and my personal favorite, Morgon. Wines from the crus have infinitely more depth and character than the forgettable Beaujolais Nouveau you’ll find on many a Thanksgiving table, but can still easily be found for south of twenty dollars a bottle. Go local. No matter where you live in this country, there’s a wine producer not too far away – at present, for the first time since Prohibition, every state in the US produces some quantity of wine. As residents of southern California, however, some of the very best of that wine is literally right in our backyard. A weekend trip up to Santa Barbara County is an ideal way to introduce yourself to a whole new lineup of wine options; the region is teeming with small-production winemakers whose unique and delicious bottles, which probably aren’t available at your local supermarket, are definitely worth a try. Download a regional wine map and venture down the windy country roads, where each sharp turn seems to reveal another vineyard – or simply spend your afternoon in a village (i.e. Solvang or Los Olivos) where tasting rooms line both sides of the main drag. You’ll not only enjoy a bucolic weekend away, you’ll be supporting local agriculture in the process, which will make you feel better about all the gas you burned driving up there. Next time your friends back east ridicule you for living in a season-less clime, tell ‘em to keep their snowballs… you’re still wearing shorts on December 1st. And besides, if you drink enough seasonally-inspired wine, you’ll be too happy to tell the difference anyway. Good calls JP. 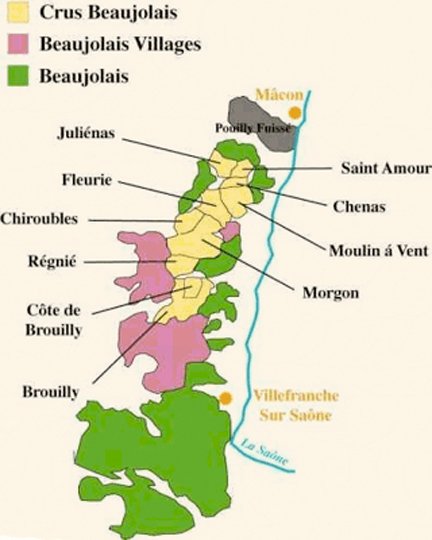 I’m inspired to do a Crus Beaujolais tasting, STAT! Bubbly and Burgundy are some of my turkey’s best friends and Nebbiolo based wines (preferably a Justin-Bieber-aged Barolo or Barbaresco) are awesome for when it actually is cold. So most days in SF. Fall or Autumn say Grenache Blanc and Viognier to me as well . . . don’t forget these popular Rhone workhouse varieties. And while you’re at it, throw Grenache in there as well – it’s the PERFECT red wine all year round!!!! Just a heads up to all you fans of Chariot Gypsy (as that part of the season is past for 2014), I have found one I like as well as Chariot Gypsy (alas, also seasonal), but it is very reasonably priced at $6.99 at Trader Joe’s and it is called ‘Pontificis’. It is a French Granache, Syrah, Mourvedre blend and is smooth, full bodied with silky tannins.Think ‘spice, black fruits and herbs.’ Delicious alone or with a meal. Check it out, don’t know how long it will be there.